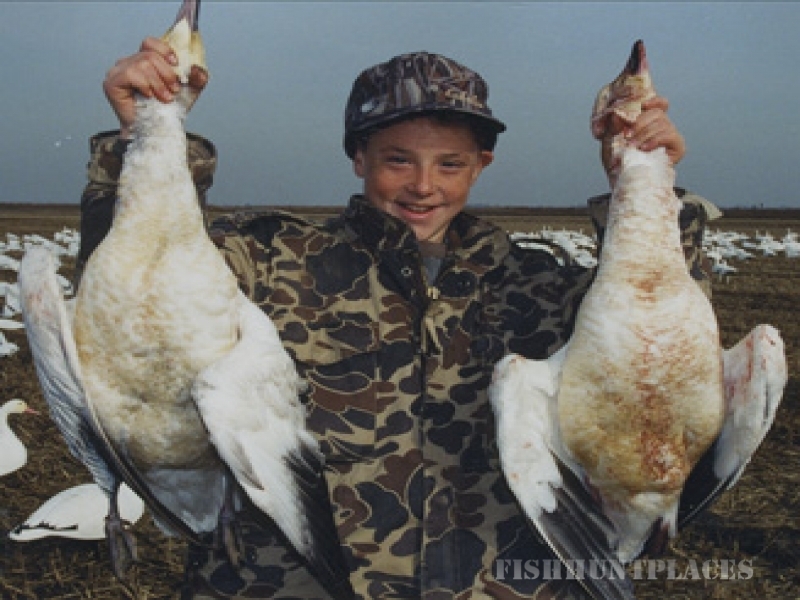 We offer top-notch professional guided goose hunting trips for snows, ross, and specks, in a dry field. This is 25 yard decoy shooting at its finest. Blake's 35 years of experience, knowledge, professionalism, and calling ability have made him one of the most sought after guides in Northern California. The Sacramento Valley receives an estimated 750,000 geese that migrate south each year from the Arctic Ocean. 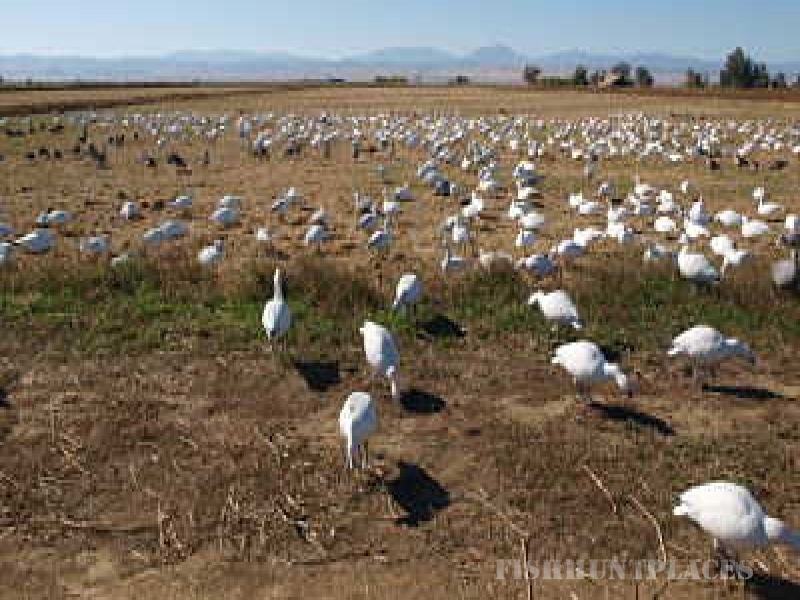 The Sacramento and Delevan National Wild Life Refuges serve as wintering grounds for these incredible birds. Our first pit location is between these two refuges (see map) our second location is just south of that next to a 500 acre bird sanctuary, for the best possible shooting. Just 55 miles north of the Sacramento airport, near the town of Maxwell. This is our 20th year. We hunt out of a six man pit blind over a very large, state-of-the-art 1,200 decoy spread. The owner, Blake, does most of the guiding, but we do have other guides that have been tested and are very good callers and guides. Come experience this very professional and incredible hunting adventure with four star accommodations available.